DC VELOCITY offers a dedicated email and hosting service to help you promote your white paper. 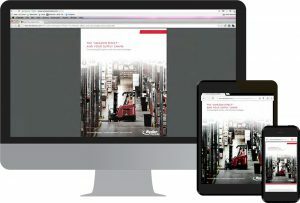 This is the perfect way to let our audience of logistics and supply chain decision-makers know about your company’s products and ideas, and, most importantly, how THEY can benefit from them. In addition to a dedicated email to our list of 50,000 subscribers and hosting of your white paper on DCVelocity.com, we will include a post in our market-leading social media stream of 70,000 followers. Materials should be sent to Martha Spizziri at Martha@dcvelocity.com at least five business days prior to run date.